In a mixing bowl, beat the egg and milk. Combine the ground beef, salt, pepper, garlic, onion, and rice. 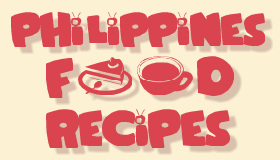 In a separate mixing bowl, combine the tomato sauce, brown sugar, ketchup, Worcestershire sauce, and lemon juice. Mix until it’s well combined. Cutting deeply at a 45 degree angle, remove the core of the cabbage. Place it in the boiling water and allow it to boil for 5 minutes. Using tongs, remove 8 – 10 leaves. Allow the leaves to cool completely. 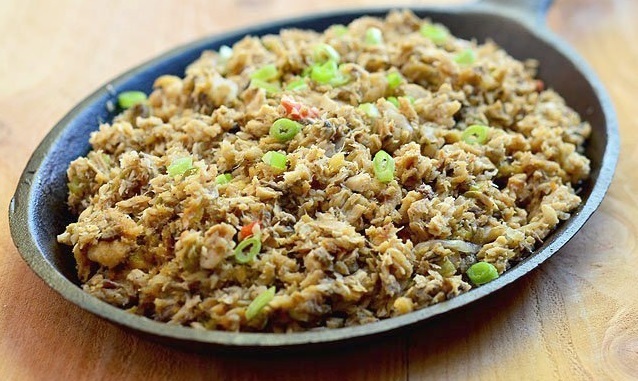 Lay out a cabbage leaf and scoop about 4 tbsp (1/4 cup) of the mixture in. Roll it up. 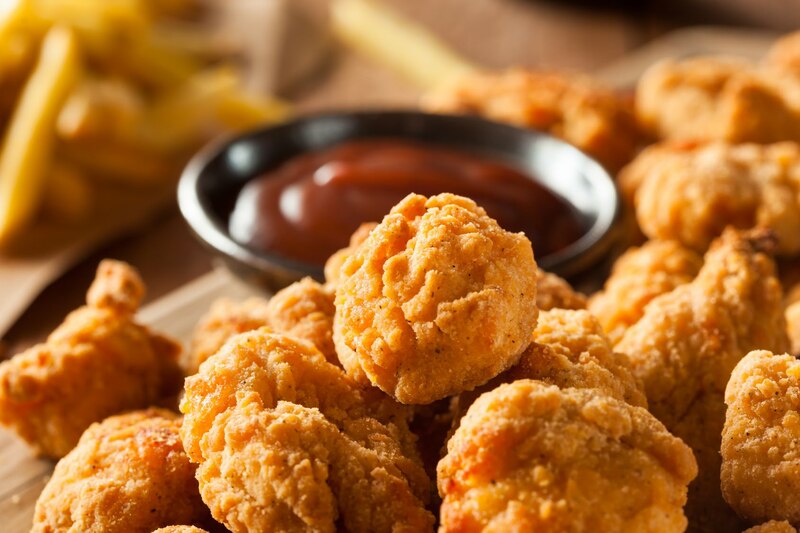 Pour a layer of sauce into the bottom of a casserole dish. 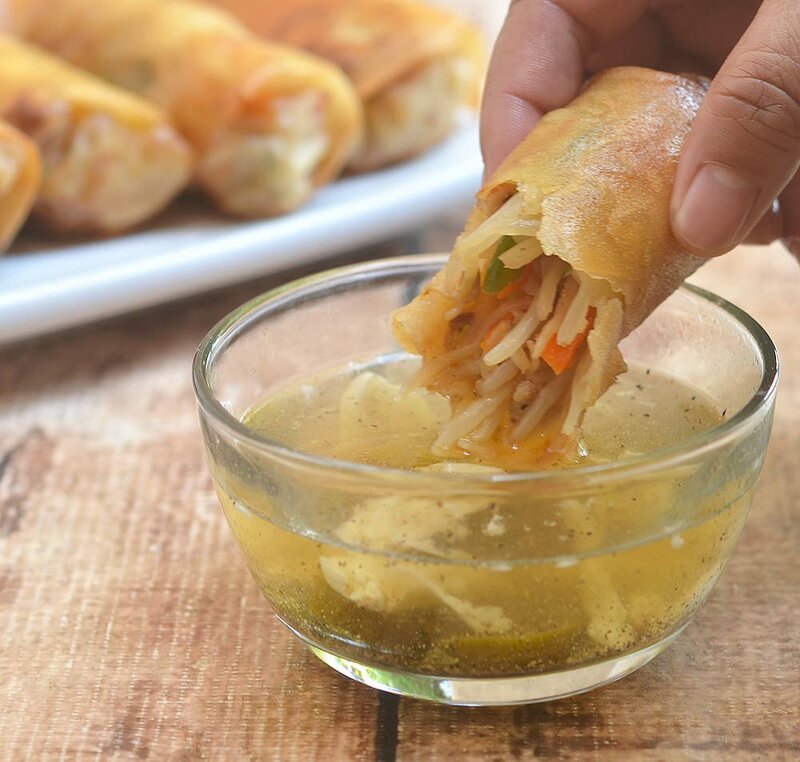 Place the cabbage rollsin, side by side, and cover them with the remaining sauce. Place a lid, or a piece of aluminum foil, on the dish. Place it in a 350 degree F preheated oven for 1 hour. Remove from oven and grate your favorite cheese on top. 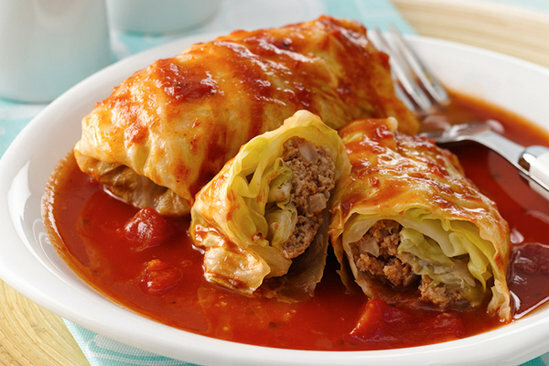 Serve, and enjoy your beefy cabbage rolls! In a skillet over medium heat, heat about 1 tablespoon oil. Add onions and garlic and cook until limp. Add diced pork and cook until lightly browned. Add fish sauce and cook for about 2 to 3 minutes. Add water and bring to boil. Lower heat, covers, and simmers for about 8 to 10 minutes or until pork is tender and liquid is absorbed. Add shrimps and cook, stirring occasionally, just until color changes to pink. Add carrots and green beans. Cook, stirring regularly, for about 2 to 3 minutes or until vegetables are halfway done. Add beans sprouts and cook, gently tossing to combine, for about 30 to 40 seconds. Season with salt and pepper to taste. Immediately remove vegetable mixture from heat and drain in a colander. Refrigerate for a few minutes to completely cool. Separate wrappers into individual sheets. On a flat working surface, lay wrapper like a diamond. Spoon about 2 tablespoons of vegetable mixture on the middle of the wrapper. Fold the bottom pointed end of wrapper over filling. Fold side ends of the sheet inward and roll tightly into a log. Wet the pointed edge of the wrapper with a dab of water to completely seal. Repeat with the remaining vegetable mixture. Rinse chicken well and pat dry. Season with salt and pepper to taste. In a food processor or with a mortar and pestle, combine coriander, ginger and garlic. Pulse a few times or mash to a coarse paste. In a a bowl, combine paste, coconut milk, fish sauce and lime juice. Stir until blended. In resealable bag, combine chicken and marinade. 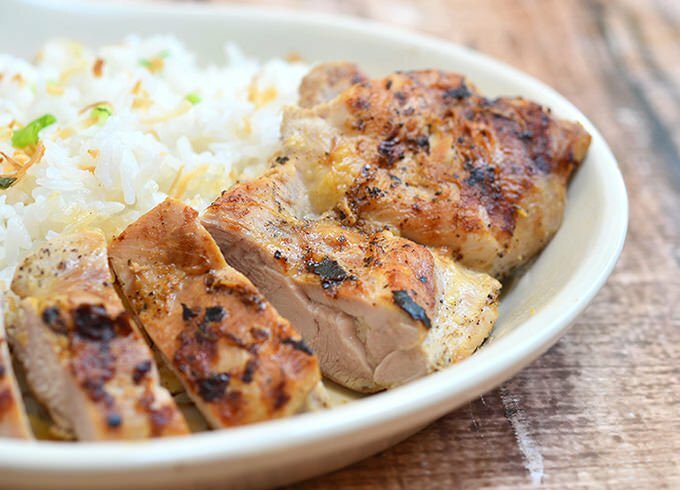 marinate in the refrigerator for at least 4 hours or overnight. Drain chicken from marinade, discarding liquid. Lightly oil grill grates and arrange chicken in a single layer on grates. Over hot coals, grill chicken for about 5 to 7 minutes and then turn to grill other side for another 5 to 7 minutes or until thermometer inserted reads 165 F. For moister meat, limit turning during grilling. Remove from heat and allow to rest for about 3 to 5 minutes before slicing. Drain ham, reserving about 2 cups of the poaching liquid. Allow meat to stand for about 1 hour or until it reaches room temperature. With a knife, score the surface fat in a diamond pattern at about ¼-inch deep and 1-inch apart. Place cloves at the intersection points of the cuts to form a nice pattern around the top and sides of ham. With a pastry brush, liberally brush ham with ¾ of the pineapple glaze. 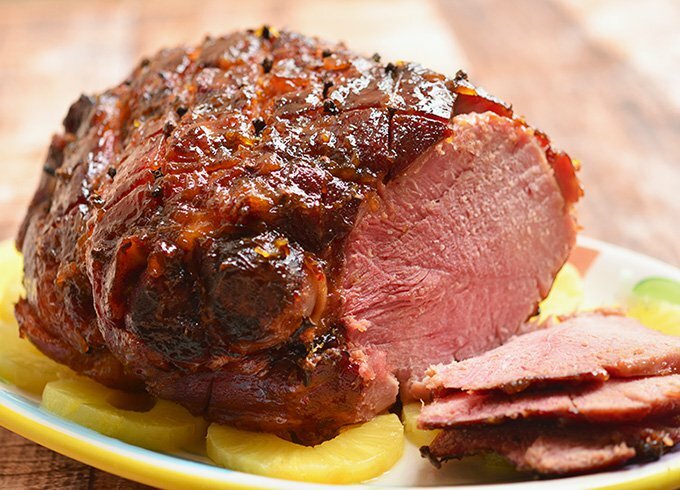 Arrange ham in a roasting rack and bake in a 325 F oven for about 1 hour to 1-1/2 hours or until internal temperature reaches 140 F. While baking, continue to baste ham every 15 to 20 minutes with the remaining glaze. At the last 5 minutes of cooking, increase temperature to 400 F and bake until nicely browned. Under cold running water, rinse potatoes well. In a pot, place potatoes and enough cold water (you can slightly salt the water if you wish) to cover. Over medium heat, bring to a boil. Cover and cook potatoes for about 12 to 15 minutes or until tender yet firm to bite. Drain potatoes and allow to cool. Peel and discard skins. With a knife, cut into 1-inch cubes. In a pot, add chicken meat and enough water to cover. Bring the water to a boil and then lower to a simmer. Simmer chicken for about 15 to 20 minutes or until cooked through. Drain from liquid, allow to completely cool and shred. Set aside. 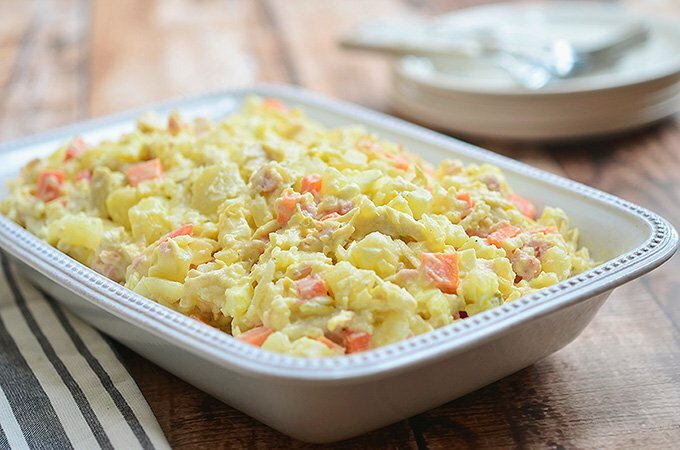 In a large bowl, combine potatoes, chicken, carrots, eggs, onions, pineapple, pickle relish, ham, mayonnaise and sweetened condensed milk. Gently stir together until evenly distributed. Season with salt and pepper to taste. Refrigerate for about 30 minutes to allow flavors to meld.